Beautiful hair are not a random matter. Healthy hair are strong and shining. When hair start to fall out, break, or split it may be an indication of stylistic substances overuse – to much hair spray, mousses, gels, faulty use of hair dryer, but it may also signalize a deeper problem such as a general organism sickness. In order to obtain beautiful hair, one must know how to take care of them, unfortunately not many women know how to tend their hair properly. One of the most important factors is appropriate selection of hair cosmetics – your hairdo is not indifferent about the chosen products! During a visit in our Studio, from among a wide variety of care products, we will choose those that will perfectly fit your needs. Discover the magical power of water. 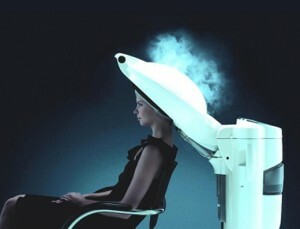 LIFE BOOSTER – check the innovative hair therapy available in For Hair Studio. It is not just a beautifying therapy, it is a whole world of rituals, designed to enjoy the process in full relax. Remember – beautiful hair are only when health comes along! About ten centuries ago, during Hcian age (749 – 1185), when women wore loose long hair, there were especially nominated day, that were wholly dedicated for hair caring and washing in pure waters of river Kanao in Kioto. Up to the beginning of the last century, hair were washed with commonly known products such as camellia oil, sesame oil, algae and seaweed oils, rice bran oil etc. After washing, hair were rinsed with natural, herbal extracts, that purified hair and enhanced the health of head skin, additionally simplifying the process of hair styling. Sakura Cosmetics company was established in respect for the ancient Japanese culture and tradition, which is generally based on mystical rules and ethical code indicating the importance of obtaining and sustaining the balance between body and soul. SEISHIN – Japanese “fountine of pure, healing water”, is a symbol that inspired a whole line of treatments and products, in which a perfect combination of secret traditional hair care and novelty technological techniques allow to achieve the ideal result for health and beauty. SEISHIN products were created with the use of valuable herbal extracts, such as rice starch, see algae, cucumber, sesame and ricin. Individual products contain various complex of herbal extracts, which grants them unique properties. Due to that, they are correspondent to individual needs of customers, taking in consideration the particular skin problems and type extent of hair damage. The base of SEISHIN products is Active Delivery Complex, a revolutionary system of transporting nutrition directly from nature, was created with the use of the latest scientific discoveries. The main goal of the system is to accumulate the complex of active substances affective skin and hair. Smooth and stable transport of the active substances is provided by special “transporting molecules”. Loreal Inoa is a coloring gel. Completely odorless and containing no ammonia, it presents a new quality of hair coloring. Inao stands for Innovative No Ammonia. Revolutionary technology gently enfolds the hair fiber with a chosen pigment, preventing damage and sustaining natural lipid protective layer, simultaneously assuring the highest comfort of skin. Choosing the Inoa coloring treatment ensure delicacy and tenderness – compared to traditional permanent-coloring products the chance of experiencing itching and burning is highly reduced. The hair color endures a longer time and does not fade so fast as in the case of other hair dyes. LUO COLOR is a real revolution in the field of hair coloring. It changes the hue of hair, not interfering with their natural color diversity at the same time. Consequently, the effect is three dimensional, shining, and compatible with the natural hair lightening. The secret is within the innovative dying technology based on light-reflecting particles. The pigments inside hair structure partly absorb light and partly reflects it. As a result, it creates the effect of an individual, shining color full of light and life. Unlike many other dyes, LUO COLOR visibly enhances the condition of hair, even those extremely vulnerable. 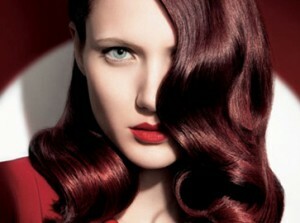 Loreal Majirel – expressive, deep, shining colors, from soft up to boldest tones. Perfect for highlights and full coloring. During each and every coloring the hair are protected and attended with care. Loreal Majirouge – deep tones of red are long lasting and precisely covering. 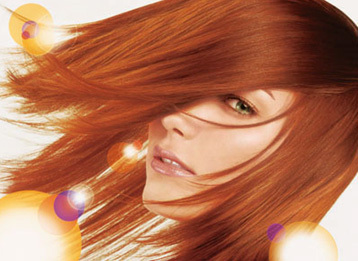 From copper red to scarlet, the intensive tones of red revitalize hair with magical beauty. During each and every coloring the hair are protected and treated with care. Revolutionary technology gently enfolds the hair fiber with a chosen pigment, preventing damage and sustaining natural lipid protective layer simultaneously assuring the highest comfort of skin. Choosing the Inoa coloring treatment ensure delicacy and tenderness – compared to traditional permanent-coloring products, the chance of experiencing itching and burning is highly reduced. The hair color endures a longer time and does not fade so fast as in the case of other hair dyes. Completely odorless and containing no ammonia, it presents a new quality of hair coloring. Inoa coloring present a wide variety of color possibilities: precise and predictable shades – from true winter up to live, bright and warm. Lightening up to three tones, unique color uniformity, throughout all the hair length. Perfect covering of gray hair. Richesse de Diacolor products contain IONENE G, a special Incell hair strengthening complex, apricot kernel oil enhancing the intercellular cement and wax oily substances, which provide hair with nutritional lipids. The covering polymer enfolds hair with a protective coating, providing them with a durable and exceptional color. Focusing on typical male tendencies, specialists from L’Oreal cosmetic laboratories faced the expectations of a modern man, who consider proper hair style an important part of general outlook and a vital element influencing self-confidence. To obtain a perfect effect, one should combine a professional hair cut with care and treatment on a daily basis. That is the reason of creating the new series of modern cosmetics for man care L’Oreal Homme. They were especially designed to prevent various skin and hair problems typical for men. The series contains magnesium + poliform, well known for their strengthening, regenerating and nutritional properties. Cover 5’ was design for men, whose goal is to cover grey hair. It helps to obtain discrete and perfectly natural effect, avoiding radical change of looks. Feel invited to visit this unique place, where professional hair stylists await. You can trust us. We always find the best individual solution for each client. Our skills were developed during numerous trainings in Poland and abroad. Our team of stylists took part in various TV programs, fashion shows, and photo shoots. Thanks to our passion and devotion we always approach customers individually. If you wish to change your look, we are the right people to help you. 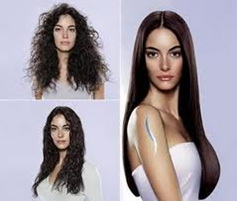 X-TENSO is a brand new service of permanent hair smoothening. It provides hair with softness, delicacy and shining. After this particular treatment hair are not only smoothened, but also they are easier to stylize, nourished, and exceptionally shining and maintained with additional increase of volume. The effect is visible for the period of eight weeks. X-TENSO technology equals smoothening based on unique tiolis from L’Oréal Professionnel revolutionary technology of auto-control activators. Auto-control system monitors the reduction and stabilize the structure of hair fibers, simultaneously creating a temporal link between the keratin chains. You are tired with flat hair with no volume? Choose the best solution – perm! It may seem scary, however a well prepared, modern perm is safe for hair, and stands for a perfect way to enrich their volume and character. In our studio we operate on a sensational fluid from L’oreal Dulcia Tonica AHA. Perm hair system Dulcia Tonica AHA from L’oreal Professionnel provide soft, elastic, and lively hair. Perm hair fluid Dulcia Tonica AHA basing on technology enriched with fruit juices AHA strengthen the inner hair structure, ensuring perfect exterior protection and smoothening of surface. Additionally it provides perfect, permanent curve and elastic, lively curls. Every women treats her wedding day as a exceptional occasion, therefore they want to look beautiful and special.Facing the expectations of our customers, we have prepared an especially wide offer of occasional haircuts. Before performing wedding or evening hair stylization, we suggest each client an earlier meeting with one of our hair stylists, in order to make a sample, experimental hair stylization. During the meeting, we perform couple of sample hair stylizations and choose the one that perfectly fit the needs, expectations and taste of the client.